Why your brand should have only ONE personality —– and other lessons from the top ten worldwide brands such as Apple, Google, Microsoft and Coca Cola. Does your brand have too many faces, too many promises, too many personalities?Even though your brand capabilities may include multiple “faces” and personalities to various audiences, it is critical that the main brand only project ONE Persona. In corporate branding, the Persona* may form strategically, from day one, or likewise may develop over a number of years. Just as with Jungian psychology, the corporate Persona’s development is inevitable. But, whereas in human terms, Personas are a weakness, in branding terms the Persona (or personality of brand) is vital. For brands, on the other hand, “excessive concern for what people think” is vital — a powerful asset in the battle for brand awareness in highly competitive market niches. While humans are complex entities who should not be narrowly defined by Personas, corporate brands are the opposite. A crafted Persona, clearly positioning our brand, is what allows the capture of brand awareness — arguably our most powerful corporate asset. A brand cannot project two Personas. To dominate a market — locally or world-wide—it is critical that the brand convey one clearly owned Persona. For the last thirty years our brand technologists have studied brand Personas. Although some marketers believe that brand is as complex as the human psyche, and build complex stories designed to target multiple audiences, the most successful brands — the likes of Forbes top brands (see below) — clearly do have well established dominant Personas, at least in terms of their branded advertising and image assets. There is no room for “multiple personality disorder” in branding. You can be market leader, an innovator and an expert, but you cannot own all three in the audience’s mind as a general rule. You might be all three, but you’ll be known for just one. 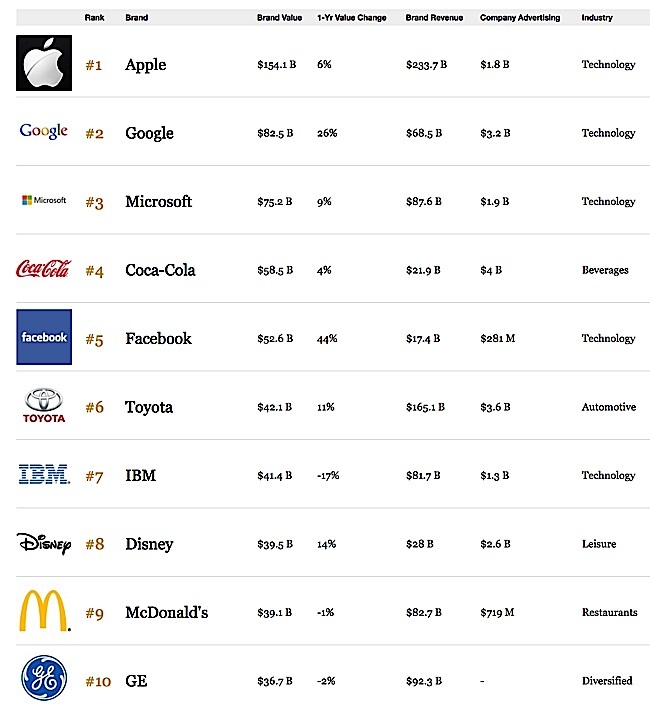 World’s top ten brands according to Forbes. Although the $1.8 Billion spent by Apple to keep their top brand placing secure seems like a big budget, in the context of their revenue and brand value it is quite small. To support strong brand, it isn’t about the dollars. Coca Cola and Google outspend Apple consistently, but have less valuable brands. Apple, famously — and almost with religious fervor — protects its single, powerful Persona of the Hero in its niche (more on this later). The popular hardcover and softcover version of The Persona Principle, How to Succeed in Business with Image-Marketing by Derek Armstrong and Kam Wai Yu. This book defined Image-Marketing, and taught methods to create a Persona Plan to ensure success of brands. The Persona team are the experts in consulted Persona Plans. We first described brand Personas — a word carefully chosen — as early as 1994, when we identified the five Power Personas of brand — based on extensive research. We wrote about this in the popular Simon & Schuster book, The Persona Principle: How to Succeed in Business with Image Marketing. Understanding your actual brand Power Persona — as planning for the aspirational Persona — is fundamental to market share success in any niche. A brand can only own one personality. 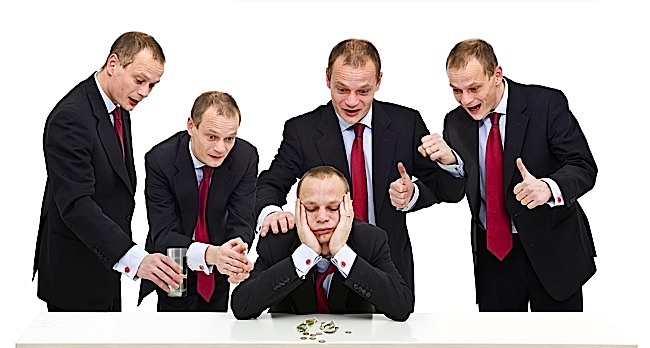 If your brand has “multiple personality disorder” immediate treatment is recommended. 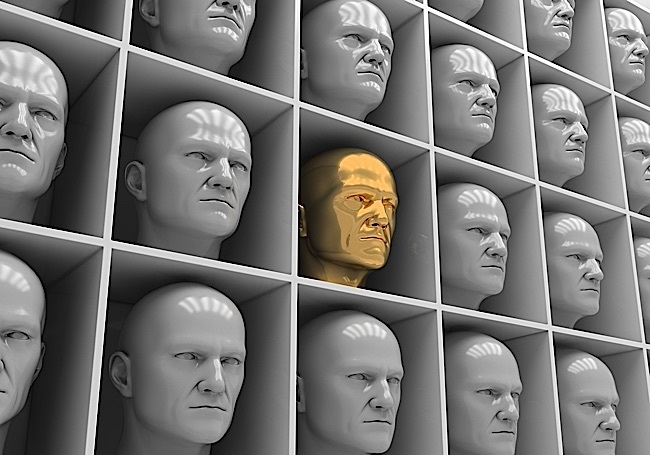 The all-important “top of mind” awareness is not possible for brands with multiple personalities. There are only FIVE Power Personas (albeit different marketing strategists might use their own descriptions of these five.) Ultimately, all brands can be categorized under these five in a given niche: Emperor (leader); Hero (innovator); Expert (acknowledged as the expert in the niche); Buddy (the friendliest brand); Simpatico (the cause-oriented brand). There can only be ONE in each of the Personas per niche. There cannot be two Emperors, three Heroes and five Buddies. Research indicates that brands that fail to own one of these five, inevitably fail. 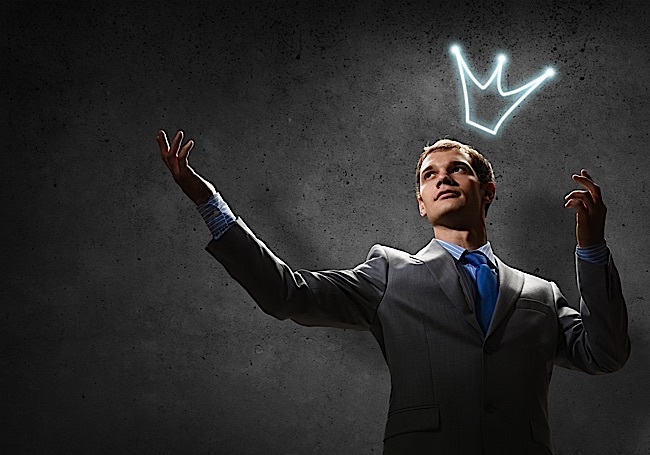 What matters in determining your Power Persona is “top of mind”. In top of mind awareness terms, by definition, there can be only be ONE brand owning each Power Persona in each niche. One Emperor, one Hero, one Expert, one Buddy, one Simpatico. 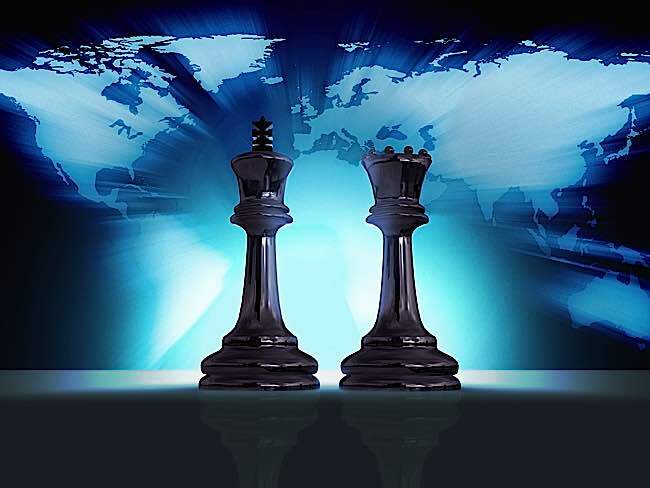 Yes, in reality, there can be 22 experts in a niche, but only ONE will rise to own top of mind as the Expert and capture the corresponding high market share. 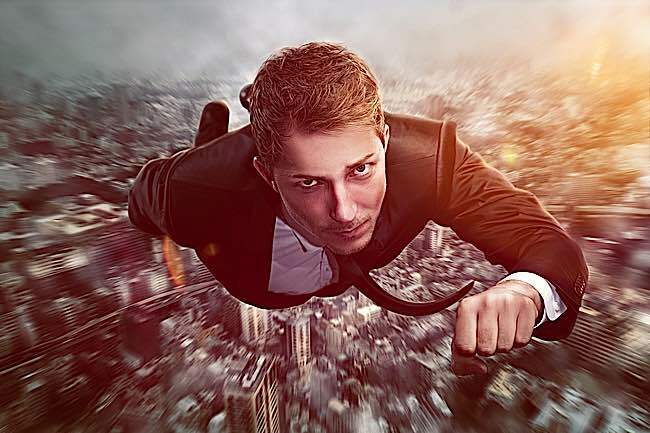 Is your brand the hero of the niche, innovating new products and services? You potentially could own the “HERO” Power Persona, assuming it is not already owned by a competitor in your niche. The Five Power Personas are nearly always the top 5 sellers in a niche, although sometimes they are the top 5 in brand awareness (which doesn’t always translate into market share). As you narrow a niche, the five change, but the market typically narrows as well. For most sectors, the top three — Emperor, Hero and Expert — are the most relevant, as market shares in the last two — Buddy and Simpatico — are normally significantly lower. The Emperor Power Persona is nearly always the niche market share leader at least as perceived by the target audiences. The image of the hero is always striking, clean, never busy and confused. 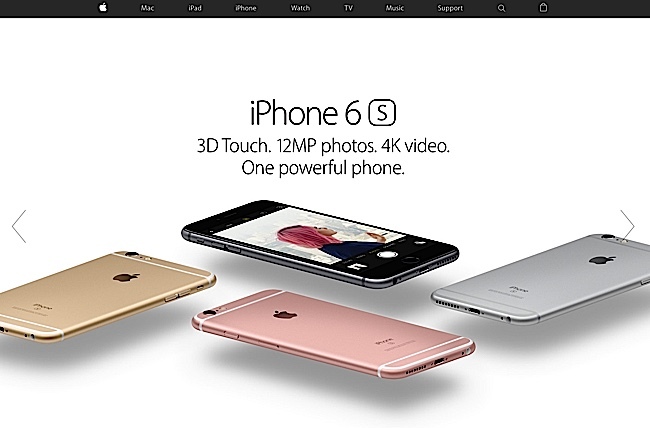 Apple, almost since inception under Steve Jobs, has conveyed a clean, heroic image, setting it apart from competitors. What is Your Power Persona? In branding, top of mind awareness is paramount. You can strategically align to any Power Persona, even one you do not currently own it — with the goal usually of “bumping out” the current owner of that position. This is known as “aspirational” Power Persona. In this case, you build your marketing strategy around achieving top-of-mind awareness — simple awareness is not enough. Ask yourself, is your brand best known as market leader, innovator, expert, buddy or the cause-oriented brand. In future blog posts I will describe the Power Personas in detail and tips for how to work with them. But, for now, ask yourself, is your brand already the owner of one of these positions? For example, within your niche, if you are the market leader, chances are, you’re the Emperor (for that niche only). This isn’t always good news, as the Emperor must constantly defend its lofty position against encroaching brands. Or, is your brand known as the innovator? If so, your brand is Hero — but only if you are acknowledged as the leader amongst innovators by your audiences. If you are the top expert in niche, you are Expert, the most competitive of Power Personas. The truth of the claim isn’t as important as the perception. Your brand may be the most innovative, but if you haven’t been successful in convincing audiences in your niche you don’t own it. Your competitor brand does. They may be inferior on technology and innovation, but their superiority in branding means they dominate you in market share and brand awareness. What is the face of your brand? To gain top of mind awareness there should only be one. If you’re not one of the market leaders, you do not own a Power Persona, but you can aspire to it. Do you have the potential to beat out the current owner? Can you narrow the niche further to a smaller, tighter audience need, and own the Persona in that niche? Can you change how you do things as a corporate culture — for example, creating a new culture of innovation in your company — so that you can fight to own the niche in the future? GE, brand value $36.7 Billion: brand revenue $82.7 B.
Derek Armstrong has worked on hundreds of brands since 1988. He co-founded Persona with Kam Wai Yu that year, and went on to create and plan brand campaigns for over 300 companies, including: IBM, Nestlé Purina, Sony Music, and many others. His work earned him over 160 international awards. Derek and Kam’s work on brand led to the development of Power Personas and, later, a planning methodology known as Persona Plan. 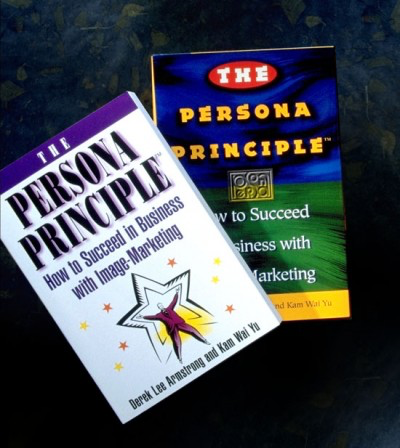 He co-authored the popular book The Persona Principle: How to Succeed in Business with Image-Marketing, published hard cover by Simon & Schuster, soft cover by Fireside, and in five languages. Derek is also a popular speaker and teacher in the field of Image Marketing and Content Marketing. “They continue to wow the industry with work that remains strategy-oriented, with killer creative.” — Marni Shaw, Marketing Magazine. Persona Plan is proprietary to Persona Corporation due to the complexity of inventory, analysis and planning required to execute. Persona Plan is a trademark. Explained in the book The Persona Principle, and will be explored in future blog posts. Apple, Microsoft, Google, Coca-Cola, Facebook, Toyota, IBM, Disney, McDonald’s and GE are all trademarks owned by their respective corporate owners. All other trademarks are the property of their respective owners. * Power Persona, The Persona Principle, Persona Plan, Emperor Persona, Hero Persona, Expert Persona, Buddy Persona, and Simpatico Persona are all trademarks owned by Persona Corporation.